I have recommended this wonderful strainer in the past, but some of you are still unbelievers. Yes, it’s a bit expensive and can be challenging to store, but all is forgiven when you actually use it. In my kitchen tools Hall of Fame, this Matfer 17360 Exoglass Bouillon Strainer ranks right up there with my Kitchen Aid mixer, Zojirushi bread machine, Reynolds Handi-Vac, and a Pyrex 2-quart batter bowl. Google this particular strainer, and you will find various sources from Amazon to restaurant supply houses with prices ranging from $75-100+. Before you faint and click away, give me a minute to show you why I’m in love. So how do I use my strainer? Let me count the ways. 1. 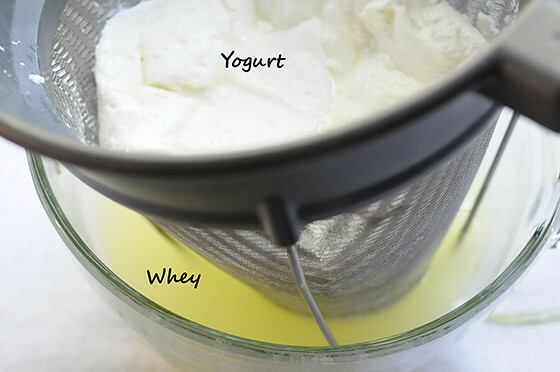 Strain yogurt to make Greek yogurt. In the past, I have encouraged Greek yogurt makers to buy this beautiful strainer to save time and aggravation when straining yogurt because no cheesecloth is needed (unless your yogurt is too thin). Sometimes beginners are unconvinced they need a quality (read expensive) strainer for this one purpose. Admittedly, there are many cheaper strainers on the market. Some will work, but I have seen none that surpass this one in terms of handling, durability, and size (will easily hold 2 quarts of yogurt). 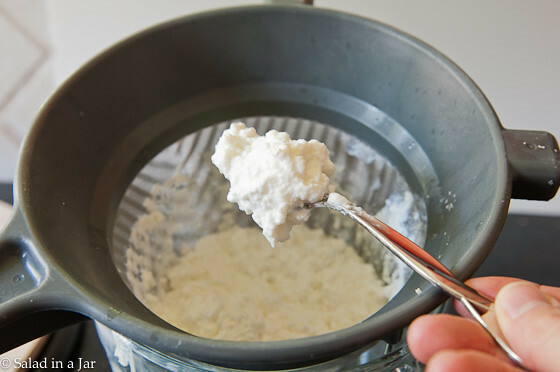 If you are addicted to making your own Greek yogurt, I can’t tell you how much you will enjoy this strainer. 2. 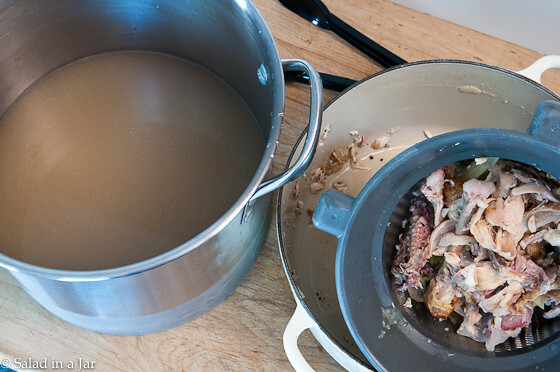 Strain homemade chicken stock. 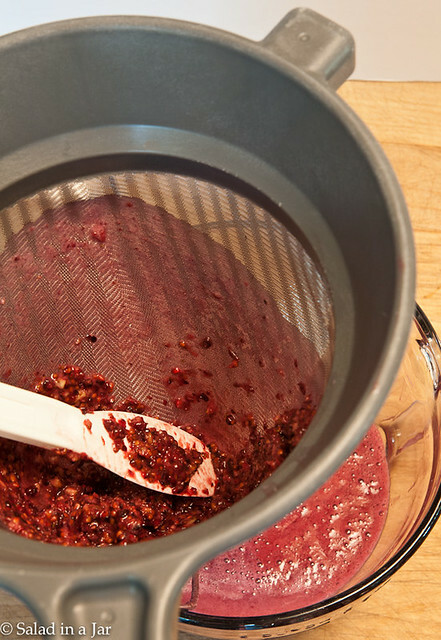 The fine-mesh sieve works so well it will even strain pepper out of your bouillon. 3. Remove small seeds from berries for jellies, jams, ice cream, smoothies, etc. The mesh is strong enough for you to press fruity pulp through it. 5. 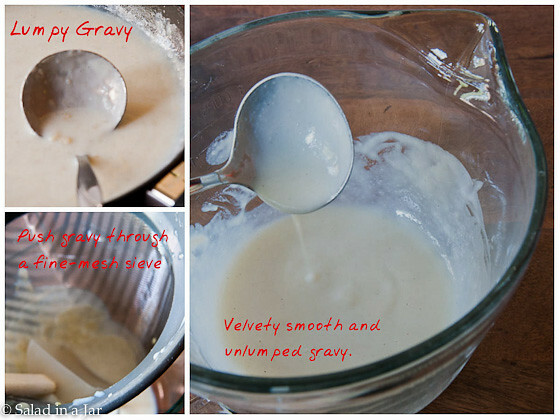 “Unlump” your gravy, pudding, or cooked ice cream base by pushing it through sieve. 6. Making cheese at home. 7. Use as a colander. 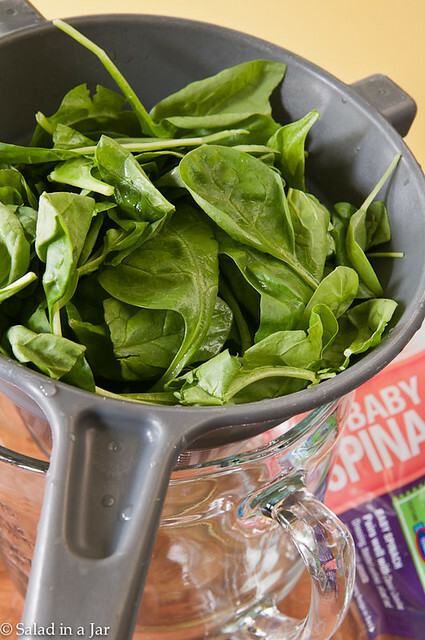 Ever tried to wash an entire bag of spinach in a small grocery store strainer? And now, I have a tip for my yogurt-making friends. Wet the strainer before you start. 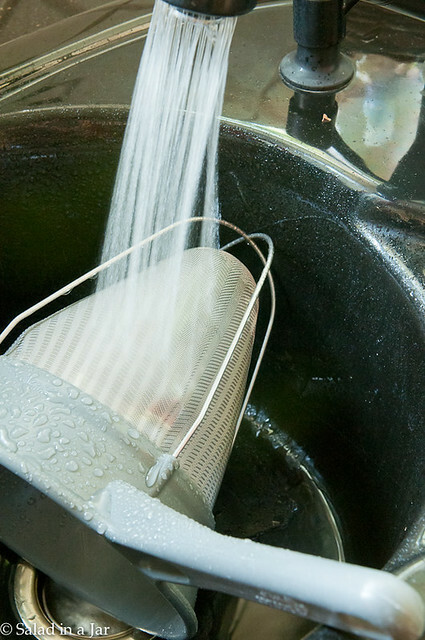 Get your strainer wet, then shake the excess moisture off before using. The tension in the microscopic holes created by the water helps to catch the solids when straining yogurt to remove the whey. May I also remind you to gently place your yogurt by spoonfuls into the sieve instead of dumping the whole batch in at one time. The force of pouring it all at once may cause you to lose some solids in the beginning. P.S. This is not a sponsored post. I just love this strainer and wanted to tell you about it. Any recommendations for a brand and size of wooden pestle for use with my 8″? I don’t have one myself but I need one. When I find one I like, I will post it here. 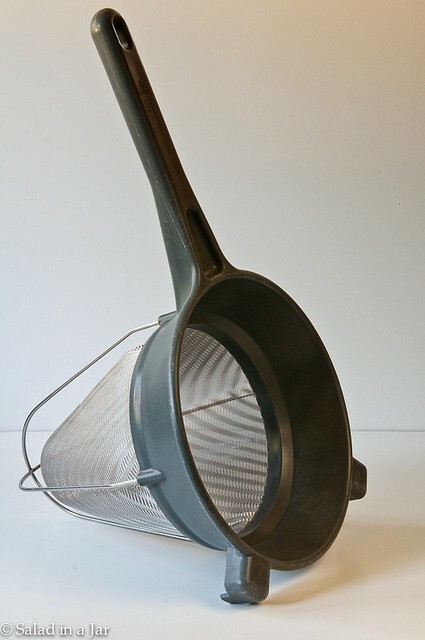 Any idea on where to find a larger one of these fine mesh strainers? I typically make yogurt using a gallon of milk at a time so I need a 4 or 5 quart strainer. Maurice, I also make yogurt a gallon at a time. I now use the method described here. I have been making Greek yogurt for a year based on your video and recipe . Have spent the last few days studying various chinois strainers on the internet trying to decide which to buy. Thanks to your most recent post, I’m going to spring for the Matfer. Thank you! I bought this strainer some time ago and love it. I’ve used it to drain yogurt, strain broth, etc. I found last fall that it did a wonderful job of draining the extra water out of pumpkin (pie, not jack-o-lantern, pumpkin) that I’d cooked and put through a food mill. I think fresh pumpkin tastes much better than canned, but if it’s watery, it does NOT make good pie filling or pudding. I give the strainer two thumbs up. I have one very similar I picked up from a restaurant supply for around 70. The thing to realize though is a very fine mesh “regular” strainer at a place like Bed Bath and Beyond is closer to $40 (the smaller the mesh, the more expensive) and it is about 1/3 the size! This one holds the whole quart of yogurt, pot of broth, etc! Neat idea for the spinach, though!! I hadn’t thought to use it for my veggie washing! Thanks!!! Good tips! Sounds like this may be perfect the next time you do a giveaway! 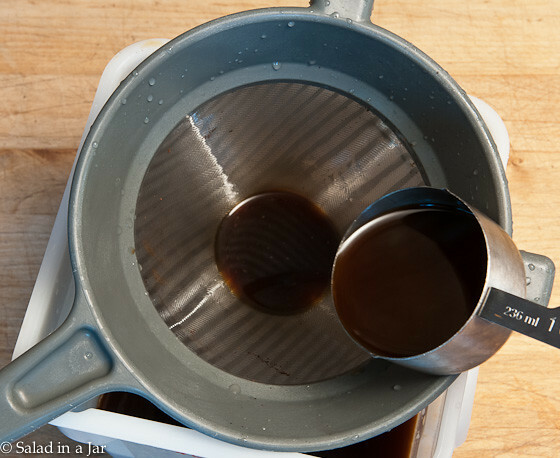 I was just reading back through your blog earlier today about straining yogurt and was getting tempted by this strainer! I’ve just been making my yogurt in an old Salton yogurt maker with the glass jars and not straining it, but have been thinking about how nice it would be to have thicker yogurt for cooking and especially for tzatziki. I’m still not quite sure I’m up for the price of this one, but maybe I’ll have to put it on my Christmas list!